A few weeks ago, I finished the second draft of my novel. It was probably the biggest structural edit I’ve done, cutting 20,000 words from the total word count while moving scenes around and fleshing out half-formed subplots. The downside of this is that there are going to be holes throughout it which will probably mean another structural edit before I even get to the line edit and final polish. This time, I’m determined to let it rest for a decent amount of time so I get some distance and perspective before I dive in again. So I sent it off to my beta readers and await their feedback and reactions with excitement and trepidation. I’m OK with the break (other than the undercurrent of anxiety that comes with the approach of baby #2 and probable disappearance of productivity), but I’m not entirely comfortable with not having a writing project to work on. I don’t want to start on a new novel and get seduced by first draft romanticism (otherwise known as never finishing anything). Plus, no ideas. But I want to remain productive and keep the writing muscle active while I can. So I decided to try my hand at a short story. Again. I’ve written about this before. You’d think by now I would’ve learnt my lesson. Once again I started with an unformed idea and started writing, and this time I got further than a paragraph. I’ve written three pages. But it still doesn’t feel like it’s going anywhere. I feel no connection with the characters and I’m already tempted to give up. Rather than write quickly, as I do with a novel first draft, I keep going back and editing, changing happy to glad and back to happy again, which is generally my way of avoiding the fact that it’s not working. I’ve still got the document open. I still want to write. The story possibly has some potential. I’m just not sure I have the patience to see it through. I’d rather be writing a novel. No, it wasn’t one of those things where you get yelled at by a muscle-bound exerciseaholic while subjecting your own body to torture. But it was probably just as tiring. Yesterday I completed the final day of a four day fiction writing bootcamp held by the SA Writers’ Centre. I’d wanted to go ever since I saw it advertised a couple of months ago, but with finances thin I wasn’t sure I could justify the expense. 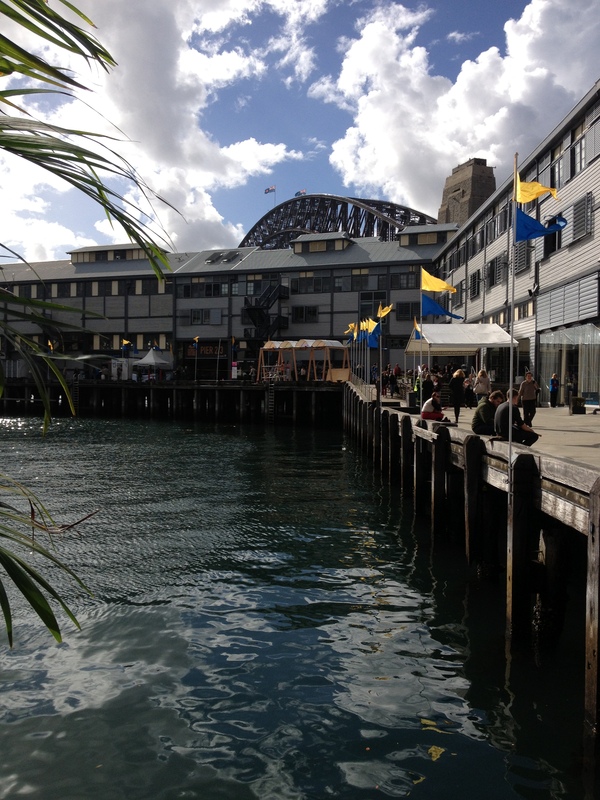 But then, two weeks ago, I was randomly picked to win a $200 workshop voucher, so I didn’t hesitate to book in. And it came at a perfect time considering I’m just embarking on second draft purgatory. 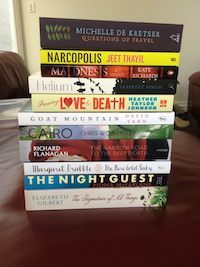 The bootcamp involved two workshops a day for four days covering beginnings, dialogue, voice, imagery, self-editing, ‘irresistible fiction’, characters and point of view. The first was beginnings with Gay Lynch, which explored some ways to create the perfect first sentence or paragraph for a story. While I am for the most part still happy with my beginning, it’s always useful to look at things from different perspectives. The next workshop for the day was dialogue with Lucy Clark. The content in this workshop was quite basic and seemed to be aimed primarily at beginner level, but again it does help to reinforce existing knowledge. Saturday began with the voice workshop with Jennifer Mills, which gave us some great tips to give our stories and characters a voice of their own. There were a number of exercises, including writing a scene from the perspective of a different character, writing a scene using only dialogue, then rewriting the same scene from an outside perspective relying on nothing but body language. It was interesting that I initially baulked at these exercises, but doing them gave me a fuller picture of everything that makes up character and story. Next up was imagery with Lia Weston, which I also really enjoyed. It covered all the different methods we can use to convey mood as well as the physical. It was challenging for me to realise how ingrained cliches still are in my psyche, even though I despise them. The exercises really stretched me as a writer and made me think about how to use more evocative prose. Sunday began with a self-editing workshop with Patrick Allington. I did enjoy this, but as we were a really large group and we only had three hours, there was only the chance to look at three pieces, the second two of which were rushed through quite quickly. I also found a lot of time was wasted by people debating whether individual words or sentences worked in the piece, which was frustrating enough for me let alone the person who was no doubt hanging out for the expertise of the professional editor in the room! The afternoon session was irresistible fiction with Steve Evans, which I found difficult to focus on, particularly in the afternoon, as it was delivered as a lecture with only a couple of exercises. The day ended with a Q&A with the ever-enthusiastic and lovely Sean Williams, who described his career trajectory and gave us some tips on perseverance and always enjoying the writing process. Day four was also a highlight for me, with the morning session on characters with Anna Solding. This workshop helped me to get to know my characters better through a range of exercises that I would never normally do when creating a story. I feel like I have a more rounded view of them as people now, which I hope will make them leap off the page once I’ve finished editing. The final workshop of the bootcamp was point of view with Amy Matthews, and this was another of my favourites. It was packed with exercises, which mostly involved re-writing scenes from my novel from a different point of view. My first reaction to this was that it was a waste of time because I wasn’t going to change the point of view in the novel, but once I’d done them I again found that I knew so much more about the background of the characters and story, which will help with authenticity. By the time it was all over I was drained and utterly exhausted, but ultimately inspired once again to bring what I’ve learnt to my next draft. It’s always so valuable to meet other writers at all levels, and even to go over old learning with new eyes. I’d love to do something like this again in the future. Author Rebecca FreebornPosted on December 10, 2013 Categories Writing2 Comments on Bootcamp! I’ve been thinking about writing this post for a long time, and what better time to follow through than when I should be editing my manuscript…but let’s not speak of that. This was probably the first book I became obsessed with as a child. I read it over and over again and, in the school holidays, my sister and I would watch the animated movie on repeat all day and then recite the lines across the dining table until our poor parents were driven insane. This is such a timeless book with its messages of the importance of showing kindness to animals. I was born with a love of animals, but this book inspired in me a lifelong commitment to animal welfare. 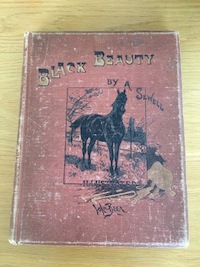 This second edition (1898) has the inscription ‘Recommended by the Royal Society for the Prevention of Cruelty to Animals’. I’d love to say it was my original childhood copy, but it was a very special birthday gift from my sister Amy and will always have a place in my bookcase. Another childhood favourite, I read this entire series cover to cover more times than I could count and well into adulthood. Yeah, it’s about wild horses that talk to one another, but it’s the first book I can remember reading where I actually appreciated the skill and beauty of the writing. 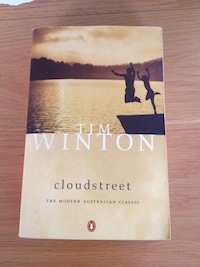 The author had a real knack for evocative prose and the stunning Australian bush setting has stayed with me my whole life. To this day, whenever I see a ghost gum I can’t help imagining the silver shadow of a horse flitting past. These were also the first books that inspired me to be a writer – in fact, as a teenager I wrote my own saga about wild horses in the Snowy Mountains which all but plagiarised this series. I was still fairly young when I read this book. It was my first experience of the Classics, and I must admit I wasn’t expecting much. I thought it would be dull, pretentious and wordy, but by this point I was becoming more interested in writing and I was curious about the successful writers of the past. From the first page, I was impressed by the colourful characters and the dry, subtle humour. And by the time I got to the end I was blown away by the twists and surprises that I could never have participated. 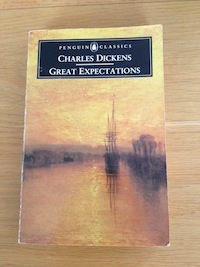 After reading this book I sought out most of Dickens’s other work and was no less impressed with this master storyteller, but as my introduction to Dickens, Great Expectations remains my favourite of his books. This book is special to me for so many reasons. Family sagas are not usually my thing, but this book was recommended to me during my Dickens phase as being quite similar in style, and so I gave it a go. And Dickensian it is, both in its humour and its contrast between classes and castes and the divide between rich and poor. While there are numerous characters, each is impeccably drawn and has their own individual emotional journey. This book also introduced me to a culture I knew nothing about beyond vindaloo, and it spawned a near obsession with all things Indian. Set in a key period of India’s history in the wake of Gandhi and independence, it also gave me an unexpected interest in politics. Each time I read this book I uncover more gems that I missed on the last reading, which for me is truly the sign of a great book. 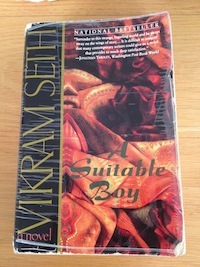 But most importantly, A Suitable Boy made me serious about becoming a writer. I’d dabbled in writing on and off over the years, but after reading this book I knew it was what I wanted to do. It inspired my first (adult) full length manuscript, which gave me my first taste of industry affirmation, enough to encourage me to continue even though this one will never be published. This book was a revelation to me. 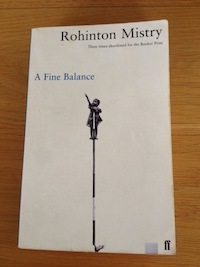 It was the first book I read with such an unorthodox style, and it made me realise that there were ways of writing with brilliance and depth of emotion without using flowery, perfectly-formed prose. It taught me that it’s OK to break rules in writing and storytelling as long is it remains true to the story. Another family saga (OK, maybe I do have a thing for them), each character, while having their own flaws, experiences the full character arc. I’m a sucker for a redemption story, and every character, no matter how contemptible, finds their redemption in this book. It is an achingly beautiful story with such a strong sense of place that I could picture every creaking corner of that house and breathe in the dust of the street as I read. Another Indian book set in a turbulent period in the country’s history, this one tears me apart on every reading. The story swings unapologetically from the depths of cruelty and injustice to the sweetest, simplest joys of humanity and back again without ever resorting to cheap sentimentality. It is exquisitely painful and wonderfully uplifting to read. While it is an often-depressing book, it also does a great job of demonstrating that true happiness does not come with wealth, but through families and friendships, and by accepting others for who they are and where they come from. I can’t say enough about this book – it’s not for the faint hearted, but for me it’s a must-read.